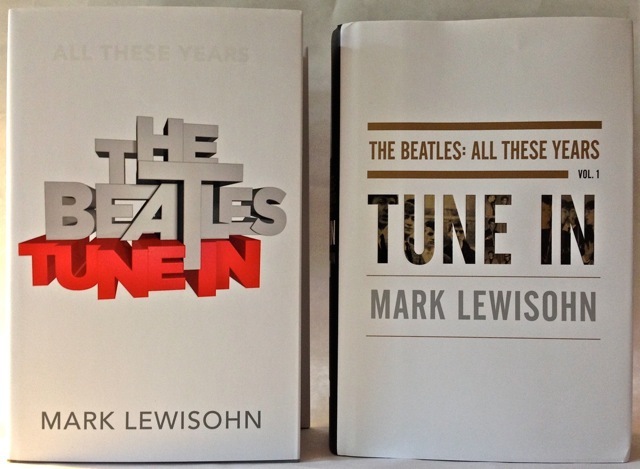 The Beatles: Tune In – US and UK Edition Comparison…and a Competition! 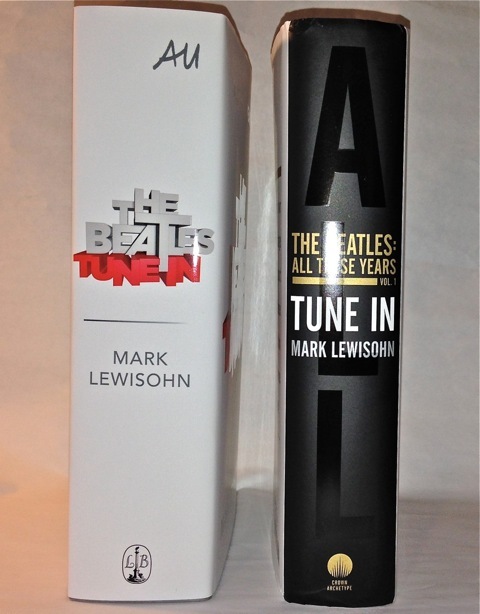 Part One of Mark Lewisohn’s new biography of the Beatles is now out in two separate hard cover editions – one for the United States market, and one for the UK. So, how are they similar – and how do they differ? There’s an interesting and as-yet unexplained design element about the spines. 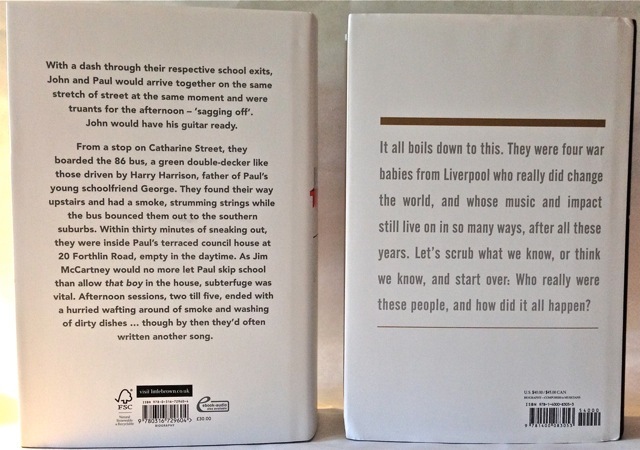 On both dust-jackets you can see the word “All”. My guess is that Volume 2 will have the the word “These”, and Volume 3 will have the word “Years”. 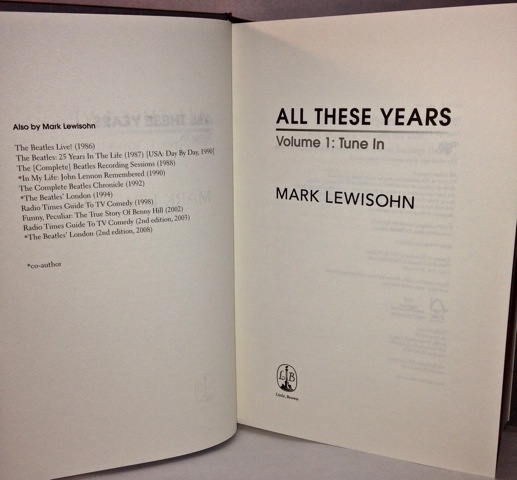 When they are eventually lined up on our bookshelves they will collectively read “All These Years”. You’ll be pleased to know that despite the design and layout differences the contents are exactly the same. Both have the same text and chapters, and both have three sections with pages of historic photographs – some of which have never been previously published. 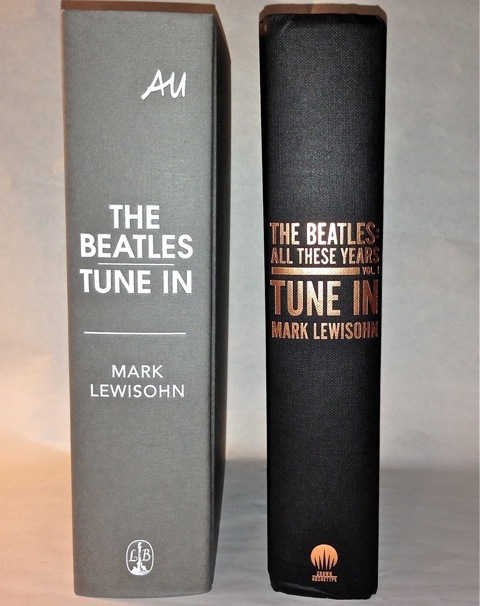 In the UK The Beatles: All These Years Volume One: Tune In is published by Little Brown. In the Unites States the book is published by Crown Archetype. How old was Paul McCartney when John Lennon invited him to join his group The Quarry Men? The first correct answer to reach beatlesblogger @ gmail . 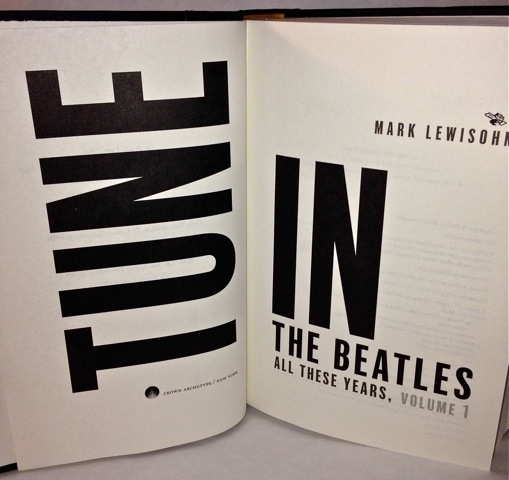 com will win a US copy of Mark Lewisohn’s book – kindly provided by publishers Crown Archetype. 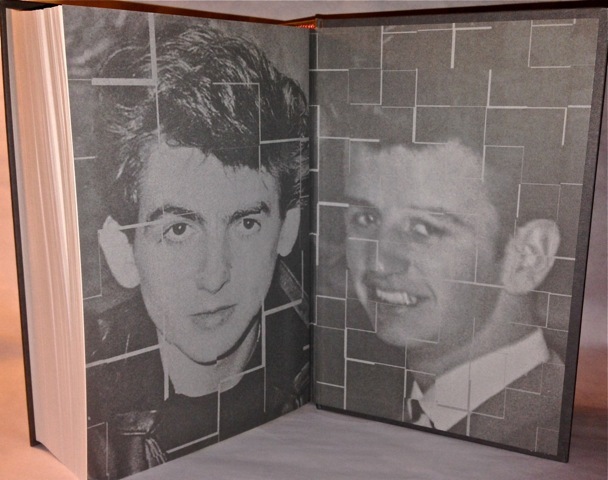 I believe Paul McCartney was 15 when John approached him to join the Quarry Men. The U.S. spine looks better, but neither cover stands out at all imo. I can’t wait to get my copy of the extended edition though, cover aside, its the text I’m most interested in! The British standard edition has more pages the American counterpart, does this mean that it uses a larger typeface ? Hi, yes – these two standard editions (UK & US) both have the same content. They just have differnet fonts and layouts, hence more pages in the UK version. Is there any benefit in purchasing the standard British edition over the American one, or the other way around ? No real advantage either way. They are just presented slightly differently (cover art, internal layout) but have the exact same great content. 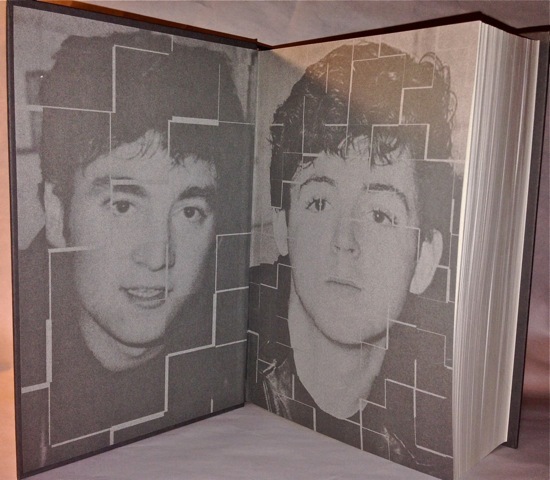 Paul was 15. I see someone already said that but I wanted to answer anyway! Congrats to you who answered before me!